Car Mechanic Simulator 2014 and 2015 are two of the highest-rated sim games on Steam. Released last week, Car Simulator 2018 is a bug-riddled mess with average user reviews hovering around 57 percent. Polish developer Red Dot Games has issued an apology to players and promises to make it all better. 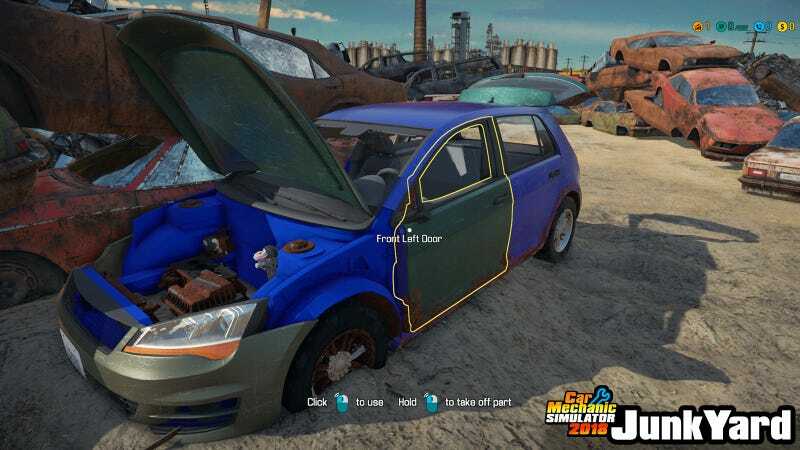 While it might not make much sense to those who don’t go for simulation games, the Car Mechanic Simulator series has developed a loyal following since its debut in 2014. There’s something both compelling and oddly relaxing about turning on the radio in your virtual garage, putting a car up on a lift, taking it apart and putting it back together again. Not so relaxing are the black screen errors, game save losses, never-ending loading screens, missing parts and other glitches plaguing Car Mechanic Simulator 2018 since it launched last week. While the ambitious follow-up introduced a ton of new features to the game (barn finds, the ability to build your own cars and more), it also introduced massive disappointment. Red Dot Games took to Steam this weekend to apologize for the buggy release. We are deeply sorry for all those problems with the game. That kind of situation never should happend. CMS 14 and CMS 15 have around 90% steam review scores, so we are really disappointed by CMS 18 score. Mostly - by our actions. We made too many mistakes on release. You have full right to be angry at us, to be disappointed. To make refunds. We deserved it. We are disappointed. We worked on CMS 18 since 2015, right after CMS 15. Whole this series, each part - it’s like a baby to us. We love those cars. All mistakes we made, are very painful. This is not the first apology issued regarding Car Mechanic Simulator 2018. Late last month the game’s Steam release was pushed back several days(from July 24 to July 28) due to problems with language pack approval. Publisher PlayWay’s Facebook announcement/apology was followed by an epic stream of angry players, many of whom claimed to have requested time off work to play the game on its original release date. The angry outbursts are an indication of how passionate fans are for the series. And though the latest installment has let them down, Red Dot Games hopes players will stick out the rocky launch long enough to see Car Mechanic Simulator 2018's problems fixed. But if you still have a little faith in us, please wait a few minutes, hours, days - we are working on fixes 24/7. We won’t stop until CMS 18 will be perfect. Please give us a chance to fix our faults. We can’t find words to express how much your support means to us, at these difficult times. We owe you a great game. And we will deliver it.